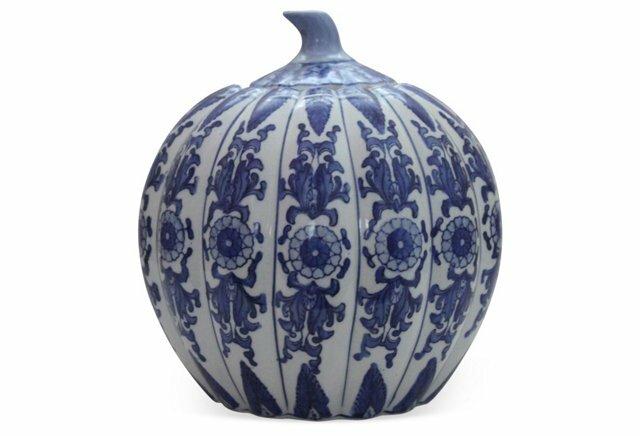 It's Halloween Week, so this week we will look at some ideas for Halloween decorating with Chinoiserie flair. 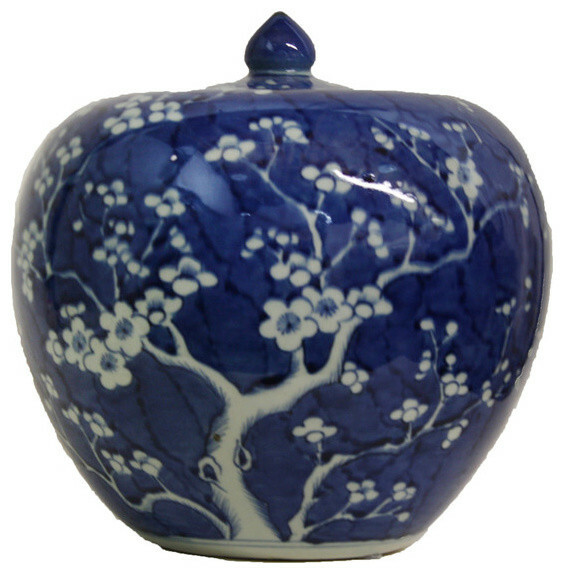 Do you have a blue and white Chinese porcelain melon jar? Its pumpkin like shape makes it perfect to display at Halloween, especially as a table centerpiece. Mix it with mini pumpkins or gourds. Well, how perfect is this. What a great piece.